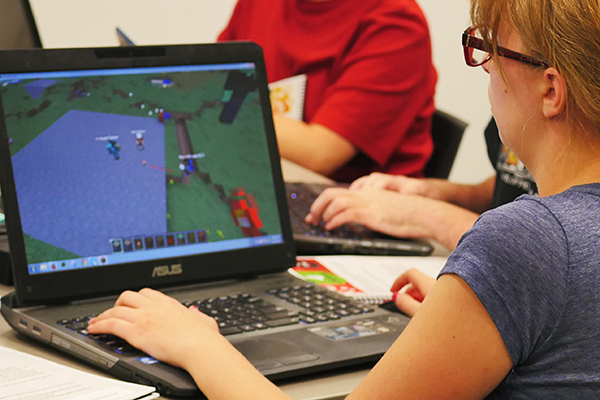 School may be back in session, but after school, Connected Camps is helping kids get their game on through online coding and Minecraft camps. Connected Camps, a benefit corporation, and Institute of Play, a nonprofit organization, designed the camp activities and events to maximize the learning potential of Minecraft in which kids learn: problem solving and design, advanced building techniques, online and web literacy, collaboration and community organizing and digital citizenship. The coding camp starts Oct. 5. It is designed for kids, ages 10-14. Using the Lua programming language, students learn to code while playing Minecraft. The month-long camp meets after school twice a week. Expert programmers lead each session. Additional after-school online coding camps will be offered monthly. Also, Connected Camps is offering an ongoing Minecraft Kid Club, which gives participants access to secure counselor-moderated Minecraft servers. Campers can login from home and engage in a wide range of in-game events including workshops, creative challenges, collaborative building, games, and competitions. The events will build STEM and digital citizenship skills, tie in with popular content such as the Hunger Games and involve real-world problem solving using Minecraft as the platform. Besides online camps, Connected Camps also works with schools, libraries, and community-based organizations to customize programs for their students. Computer science scholars nationwide have declared coding as the new digital literacy, and to excel in tomorrow’s high-tech world today’s young people must constantly learn to create and design with technology. And, learning to code using popular games like Minecraft engages learners on a fun level. “Minecraft is more than a game. It’s an environment that can teach problem solving, programming and social skills. It’s like LEGO, in a social, virtual world,” said Tara Tiger Brown, a technologist, entrepreneur, co-founder of Connected Camps and co-founder of Los Angeles Makerspace. For camp costs, to register and for more information, visit connectedcamps.com.